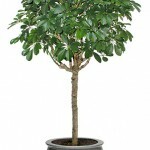 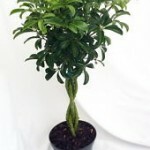 The Arboricola commonly grown as a houseplant, and used in interiorscaping. 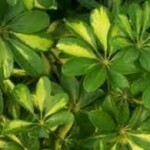 It is popular for its tolerance of neglect and poor growing conditions. 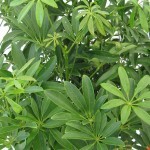 It is also grown as a landscape plant in milder climates where frosts are not severe. 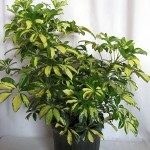 Numerous cultivars have been selected for variations in leaf colour and pattern. 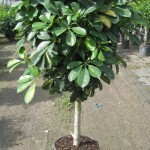 The Arboricola can range from a solid green color to a variegated variety with creamy-white to yellow edges or centres, as well as dwarf forms. 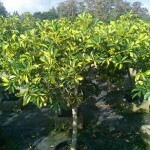 The cultivar ‘Gold Capella’ has gained the Royal Horticultural Society’s Award of Garden Merit.